The creation and use of materials cyberinfrastructures. Support for junior and senior researchers engaged in infrastructure creation. Best practices for data handling and management. 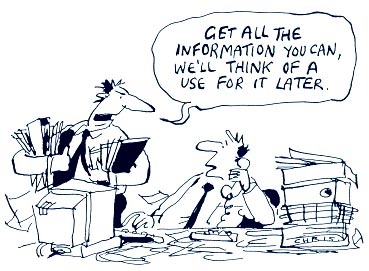 Extraction of knowledge from data as opposed to pure data mining. Education of materials researchers in the age of big data. Development of grassroots standards and support from funding agencies. The themes served as the basis for working group discussions at a Workshop held at the University of Maryland, College Park, MD in June 2015, a followup Town Hall Meeting held at the TMS Annual Meeting in Nashville, TN in February 2016, and online on our discussion forum. The end goal of the “Rise of Data” project is to compile a Position Paper that reflects the range of views in the materials community on whether and how the field needs adapt to the increasing prominence of data in materials research. This document is based on information gathered at the workshop meetings and the discussion forum. The Position Paper consists of background information, a description of the themes, and the compiled community recommendations. This effort is funded through an NSF grant (DMR-1542923) led by Prof. Ellad B. Tadmor and Prof. Ryan S. Elliott at the University of Minnesota.